Pharmacy technicians have a sincere desire to positively influence patients’ lives and make a difference in their communities. They assist licensed pharmacists with routine tasks, such as dispensing medication and educating patients on medication safety. 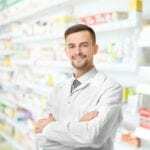 Although a strong desire to help others draws many to the profession, there’s another practical reason for enrolling in a program to become a pharmacy technician: pharmacies need technicians to meet the population’s demand for healthcare services. More than 16 percent of Pennsylvania’s residents are 65 years or older. This produces a significant rise in the need for medical services, including medications and long-term care. Seniors spend a substantial portion of their income on prescription medication and other healthcare products to treat diseases, relieve pain, live longer, and promote health. The Bureau of Labor Statistics projects employment for pharmacy technicians to increase 20 percent in the coming decade. Pharmacy employers hire more technicians to manage the everyday operations of the pharmacy and leave the hirer paid pharmacists to manage patient counseling and other duties that are beyond the scope of a technician. The majority of technicians work in retail chains, community drug stores, and grocery stores. 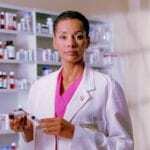 A minority works in hospitals, outpatient clinics, and mail order pharmacies. Pharmacy technicians in Pennsylvania earn a median annual income of $29,840. Pennsylvania does not license pharmacy technicians. Students who complete pharmacy technician training and sit a national exam to become a Certified Pharmacy Technician must complete 20 units of continuing education units biennially. The Continuing Education Department at Johnson College facilitates a pharmacy technician program to prepare students to serve in their communities. Graduates will earn a certificate of completion and are prepared to sit the PTCB exam. The curriculum covers several key areas of concentration, including the role and responsibilities of a pharmacy technician, medications used to treat specific body systems, classifications of drugs, and the basic sciences that form the core of pharmacy practice. The curriculum also covers a helpful PTCB exam review. The program is offered in a hybrid format: 160 hours of theoretical study is completed online and the final 16 hours is completed in a community pharmacy where students apply the principles learned in the online classroom. Students must complete the program’s 176 hours to graduate from the program. Applicants must have a high school diploma and attend a scheduled open house. The pharmacy technician program at Penn Foster Career School includes hands-on training at externship partners, such as CVS and Walgreens pharmacies. Students complete the program in approximately 9 months and are prepared to take the PTCB exam to become a Certified Pharmacy Technician (CPhT). Penn Foster offers students dedicated instructors, relevant coursework, externship opportunities, and sponsorship for the PTCB exam. The online program includes 11 units of study. Course topics include the profession of pharmacy, regulations for drug development, pharmacy operations, prescribers of drugs, label preparation, dosage forms and routes of administration, pharmaceutical calculations, pharmacy dispensing, compounding of sterile products, medical terminology, and drug classes. A pharmacy technician certification review is also included in the curriculum. For the online program, students must have high-speed internet access and a reliable computer. Tuition for the program is $624 with full payment. A flexible payment plan for monthly payments is also available. The cost includes books and learning aids, access to the online community, pharmacy technician workbook and certification review, and the cost for the PTCB and certification exam. The pharmacy technician program at Lackawanna College prepares students with the necessary skills to perform pharmacy-related functions under the supervision of a licensed pharmacist. The content is delivered online and covers the complexities of community and institutional pharmacies. Students learn how to process prescriptions, create non-sterile compounds, and the safe management of medications. Course topics include the overview of the pharmacy, the role of the pharmacy technician, pharmacy math, dosage calculations, therapeutic agents, HIV infection, drug references, working with caregivers, women, and the elderly, and pharmacy practice settings. Graduates have the option to apply for national certification to improve their employment opportunities. Tuition costs $2,495 and includes fees and the national certification exam.